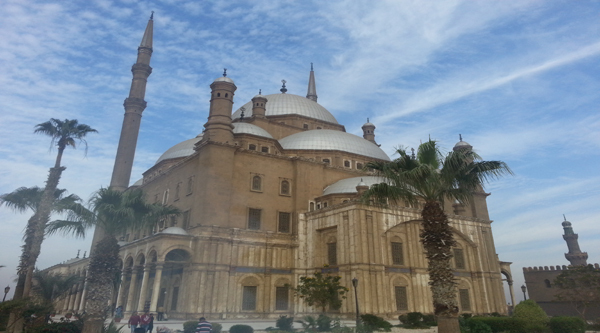 Visit Cairo city by flight from Luxor and explore the ancient pharaonic sites and temples. 05:00 am Pick up you from your Luxor hotel & transfer to the airport. 06:00 am Catch your 50 minutes flight to Cairo. 07:30 am In Cairo airport meet our guide and start your Cairo city tour. 09:00 am Egyptian Museum of Antiquities visit. 12:00 am Optional Nile boat ride. 13:00 pm Lunch in a local restaurant. 14:00 pm Giza plateau exploration. 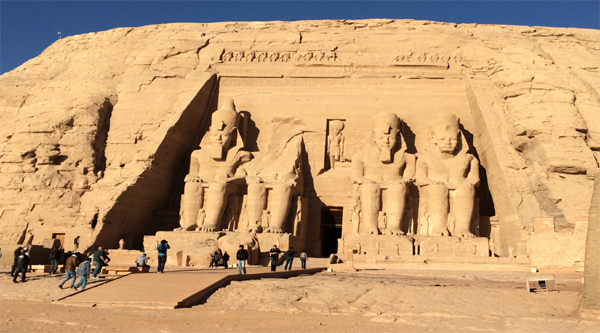 Famous pyramids, workers tombs and the Sphinx. 17:00 pm Optionally enter any of the 3 pyramids which will be open to public. 18:00 pm Papyrus fabric, perfume palace or cotton shop. 19:00 pm Transfer to the airport. 20:00 pm Catch your flight back to Luxor. 21:00 pm Our representative will meet you and drive back to the hotel. Pick up & drop off from & to your hotel in Luxor. Transfers by a/c car in Luxor and Cairo. All entrance fees: the National Egyptian museum, Pyramids area and Sphinx. 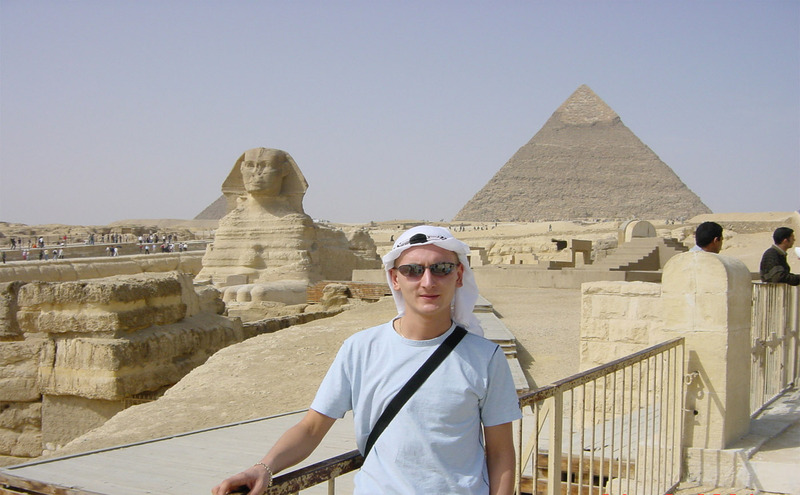 Professional English speaking Egyptologist tour guide. Passport with full visa of Egypt. We will pick up you from your Luxor hotel and transfer by a/c van to the airport. Flight to Cairo will take 50 minutes. Our English speaking guide will be waiting for you upon arrival outside the main arrival hall of Cairo airport with the sign "Sharm-club.com". Let's start our day with The National Egyptian Museum visit. 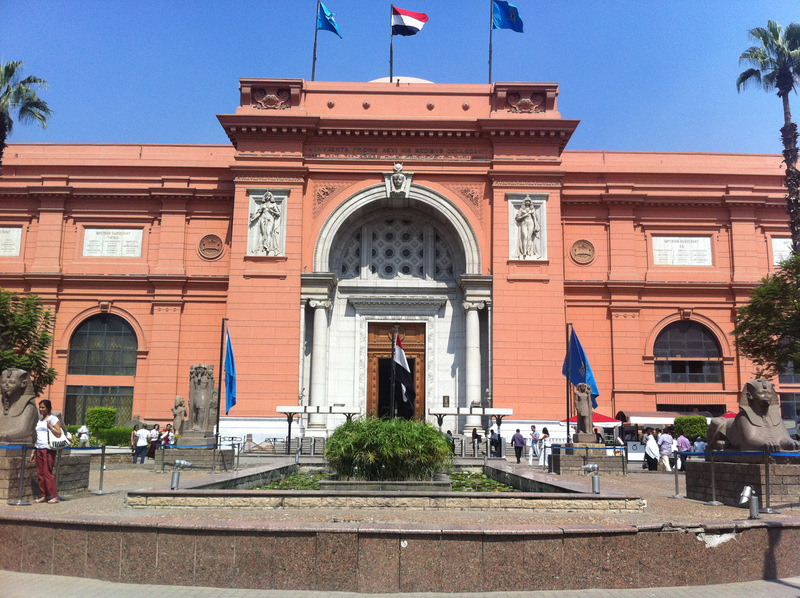 The Egyptian Museum of Antiquities contains many important pieces of ancient Egyptian history. It houses the world's largest collection of Pharaonic antiquities, and many treasures of King Tutankhamen. 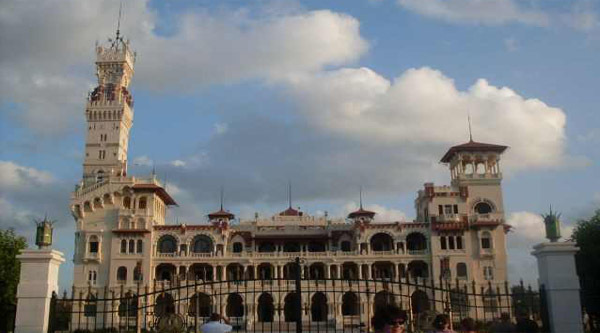 The present building of the museum constructed by a French architect is situated in Tahrir Square and is already more than 100 years old. We will discover the main collections of the museum such as Old kingdom, Middle kingdom, New kingdom and king Tut Anch Amun collection. We will spend around 2,5 hours in the museum. After the museum we will take 45 minutes Nile boat ride. We will enjoy with the sailing along the Nile, warm breeze and panoramic views of the city. Lunch will be offered in a local restaurant on set menu basis, but you can choose between options available. Vegetarian options are also available. Let's move to Giza Plateau after lunch to explore the area and to discover one of the seven wonders of the world: The great pyramid of Cheops! Other pyramids of the area will be visited as well: the pyramid of Chephren and the pyramid of Mycerinus. We will end our tour in Pyramids area after visiting Sphinx and its valley temple. At the end of the day we will get a chance for shopping in the area around the Pyramids. Visit of papyrus institute, perfume palace or cotton fabric will be available. At the end of the day we will drive back to Cairo airport by a/c van to catch your flight back to Luxor. In Luxor our rep will meet you and transfer to your hotel. We travelled to Sharm el Sheikh in mid Nov and wanted to see Cairo. After reading reviews on the internet, we booked with sharm club for a day trip by plane. It was the best day ever in Egypt. We got an invoice telling us to call after arrival, and that's already what we did, the following day their representative came to our hotel on time, gave us pickup time and all the information we wanted know about the trip. The following day we were collected from our hotel in a minibus. Our tour guide Sherif "who is a real pro" was there at the airport to meet us and we had an air-conditioned mini bus and very nice driver waiting for us. Both of them spoke very good English. The day was wonderful, little bit long but definitely worth it. I'm telling everybody, don't be scared booking online, specially with those guys. 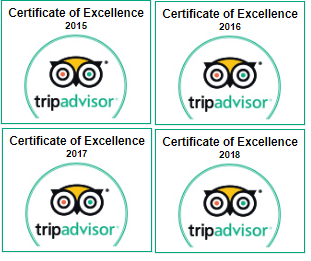 If you are going to Cairo you will have an absolutely wonderful holiday!